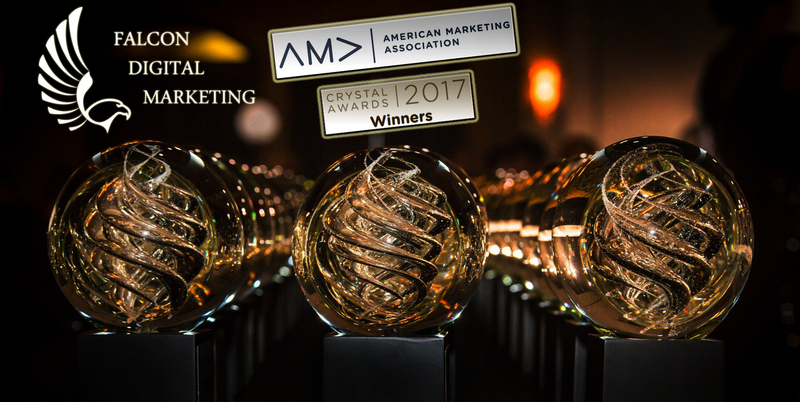 Houston, Texas, May 22, 2017	(Newswire.com) - The American Marketing Association 2017 Crystal Awards honored Falcon Digital Marketing in the category of Online Marketing for their top performing Search Engine Marketing campaign. Falcon Digital Marketing was chosen to receive this award for their online advertising campaign in the legal industry for The National Legal Research Group, the oldest and largest legal research firm in the U.S that provides legal research and writing services for attorneys. Falcon Digital Marketing is responsible for the online advertising and attorney lead generation for the National Legal Research Group, supporting new attorney-client acquisition, and online branding. The Crystal Awards were created by the American Marketing Association (AMA) to recognize the city of Houston’s best marketing projects and the people responsible for them. This includes marketing agencies and in-house teams, for a wide range of categories from digital marketing to traditional advertising to design work. The awards received over 600 entries in 2017 that were meticulously evaluated by judges consisting of marketing experts outside the city of Houston. In the category of Online Marketing, the judges strictly critiqued the results of the ad campaign to choose a winner. Falcon Digital Marketing was chosen to receive the award due to its ability to implement and maintain a highly successful online marketing campaign that exceeded the client’s goals. Falcon Digital Marketing’s Online Marketing campaign for The National Legal Research Group was able to win this distinguished award for a successful paid advertising campaign that increased online leads, conversion rates, and reduced the cost per lead. Through advanced Pay-Per-Click (PPC) advertising strategies implemented on Google Adwords, Bing Ads, and remarketing banner ads on the Google Display Network, Falcon Digital Marketing was able to increase online leads by 308%, reduce cost per lead by 39%, and increase conversion rates by 175%. Falcon Digital Marketing is a highly-specialized online marketing agency that focuses on ROI driven Pay-Per-Click (PPC) and Search Engine Optimization (SEO) campaigns for competitive industries.